Who loves Hometalk? I know I do! For those of you who aren't familiar, "its the largest home & garden knowledge hub on the web." 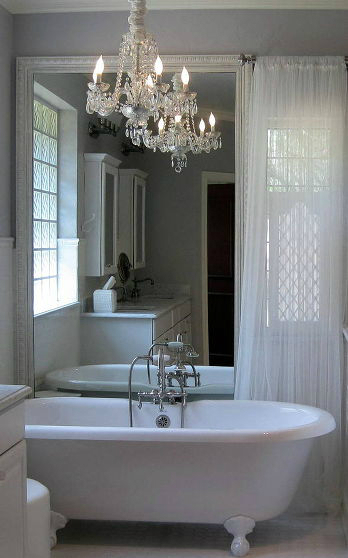 It's fueled by the firsthand experience & advice of hundreds of thousands of home enthusiasts and professionals. On Hometalk, you can ask and answer questions about home and gardening, share and view helpful and inspiring photos, and search and browse through thousands of previous discussions. Homeowners, renters, contractors or anyone planning or involved in home improvement or gardening projects can use Hometalk to plan ahead, see what others are doing, ask for advice, get ideas for projects and share pictures and videos of the results. If you haven't experienced Hometalk yet, you'll definitely want to head on over and check it out, it's such a fabulous and resourceful site! Hometalk contacted us to see if we would be interested in curating a board about Jaw Dropping Furniture Collections for them. We were thrilled for the opportunity and excited for an excuse to browse to see just how creative people truly are! I hope you find as much inspiration as I did in these eclectic village of ideas! 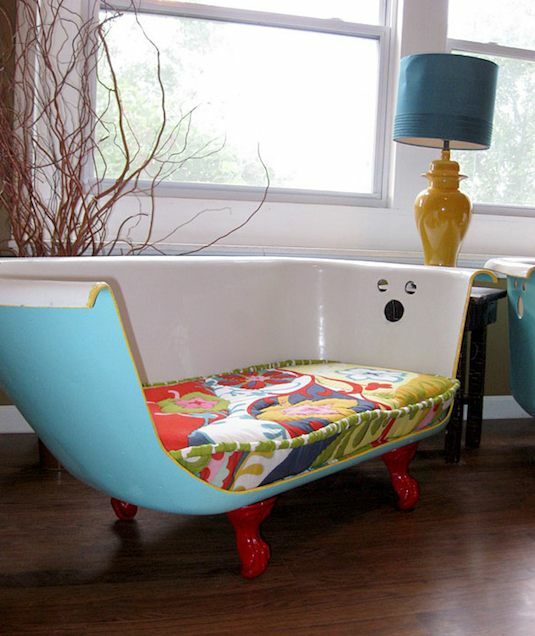 If you're lucky enough to find a vintage wagon, why not turn it into a show stopping bench? I'd certainly love to sit down and tie my shoes here. 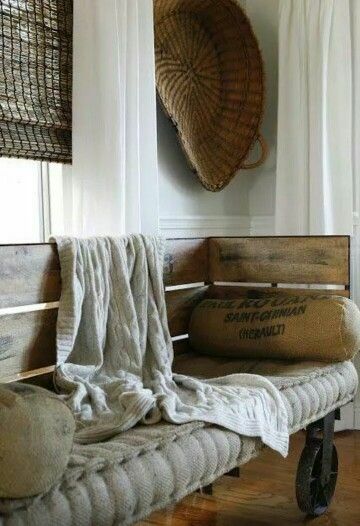 This would look amazing at the end of a boy's bed or in a library or entry way. If you love this look, get inspired and build your own! 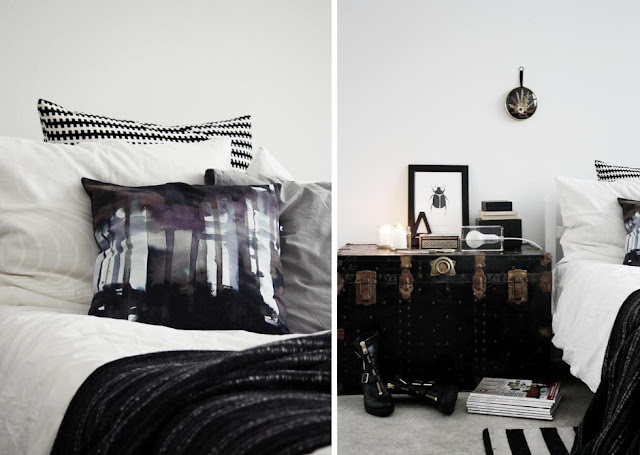 Are you drawn to industrial things? 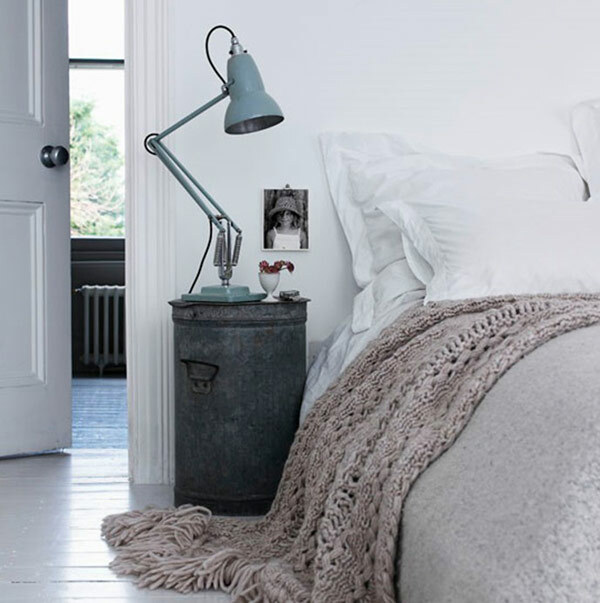 Consider aging a clean tin garbage can with some dark wax to achieve your own look. What do you do with a crib once the last one has outgrown it? 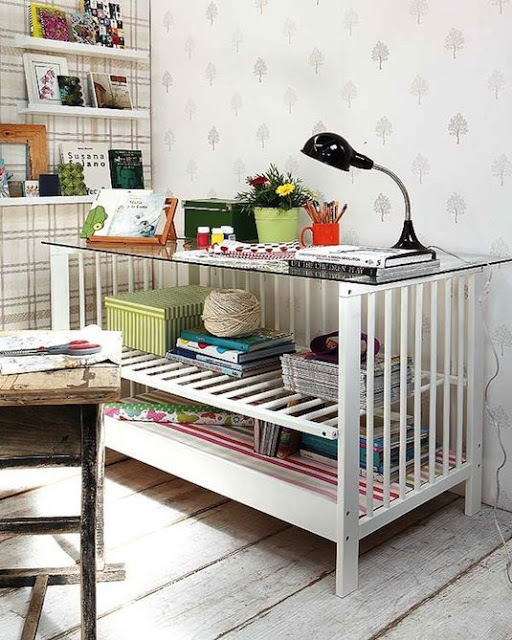 Try re-cycling it and turning it into a desk or credenza for your craft space. I'd love to a wrapping station in mine! Do you have an old bike laying around? 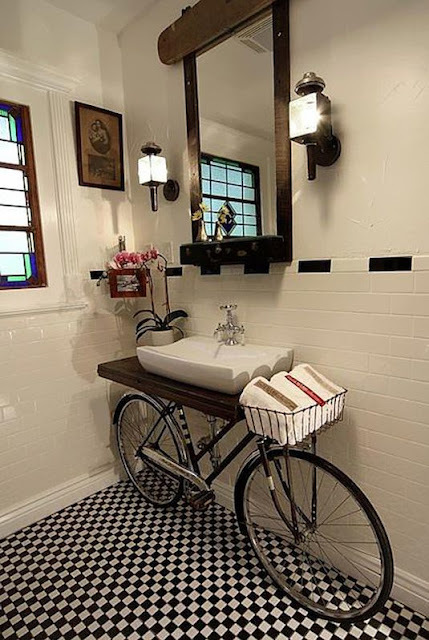 Why not turn it into a bathroom sink? It's art and it's functional... just look at that basket and the way used it to store extra hand towels. 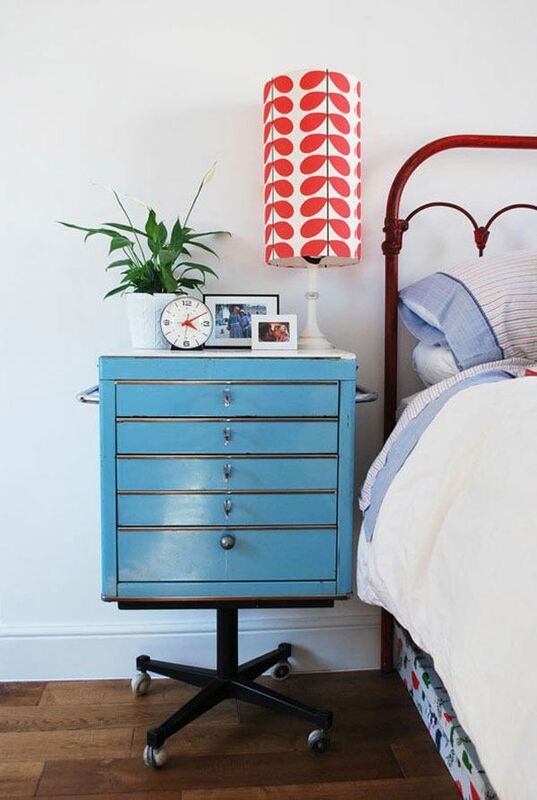 Consider a painted filing cabinet inspired end table to add interest and loads of functionality. We love that it's on wheels. Makes cleaning those dust bunnies easy peezy! Framed full length mirrors can be expensive. You might already have the materials to make one in your own home! Look how this homeowner turned her boring builders vanity mirror into a glamorous full length dressing mirror on the cheap! We love this conversation piece! 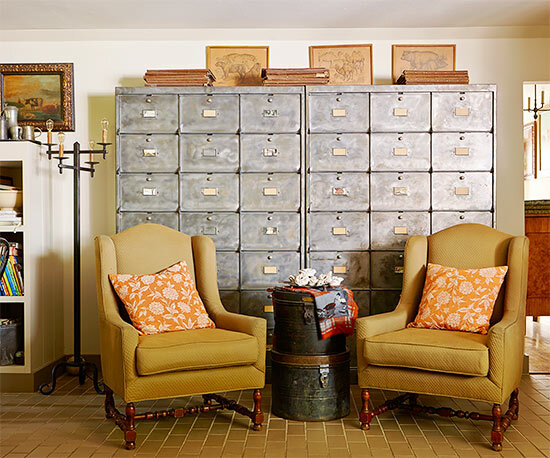 Applauses to this homeowner for taking an old filing system and making it the anchor to this room. Oh, the things this could hold! Check your local habitat for humanity stores or on Craigslist for these special finds. Home Depot sells whiskey barrels for $30. If you slice one you can create two projects. 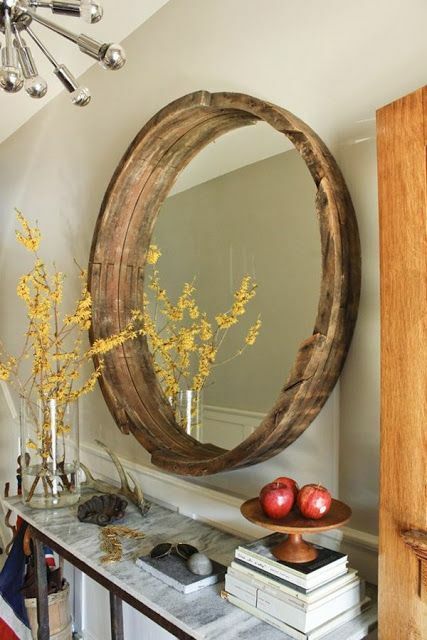 An outdoor table and this lovely eclectic rustic mirror. 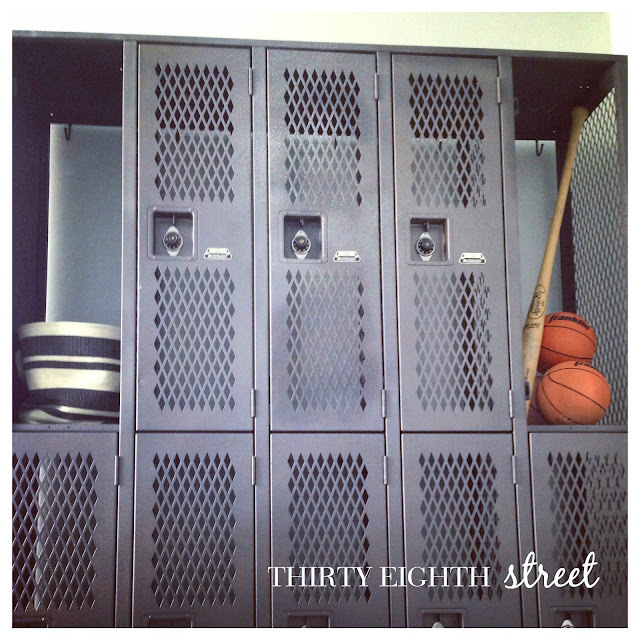 Thirty Eighth Street will add their recent Industrial Locker Makeover to this bunch. :) If you missed it you can visit us here. Do you have a small space? 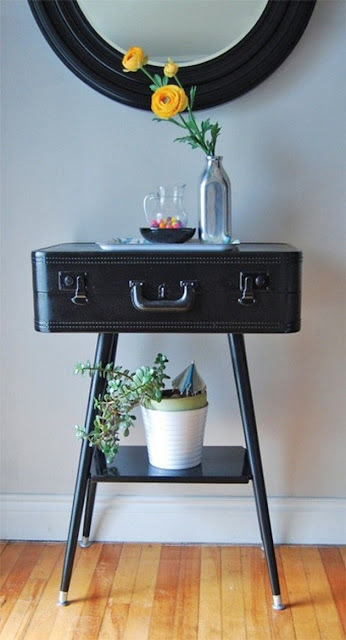 We are head over hills with this amazing dainty black table repurposed from a vintage suitcase. Are you addicted to shoes? Clear up your floor space and re-purpose a bookshelf and turn your closet into a dressing room. Image via Design Indulgences. 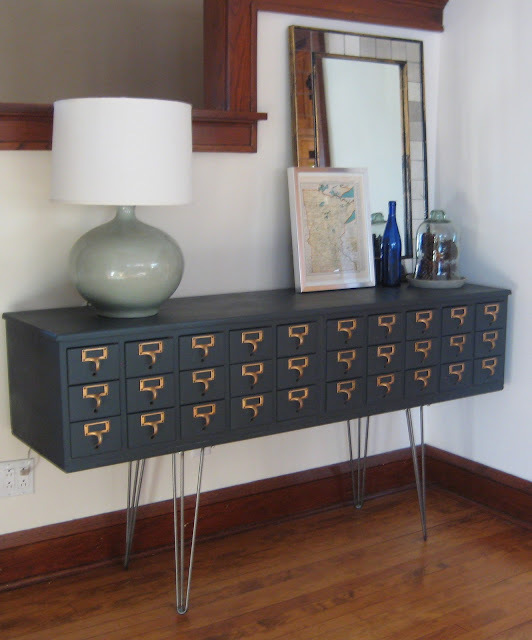 Card Catalogs are hard to find but if you're lucky enough to score one, they can make a fun and creative piece of furniture! Don't be afraid to alter them if they don't fit your space. 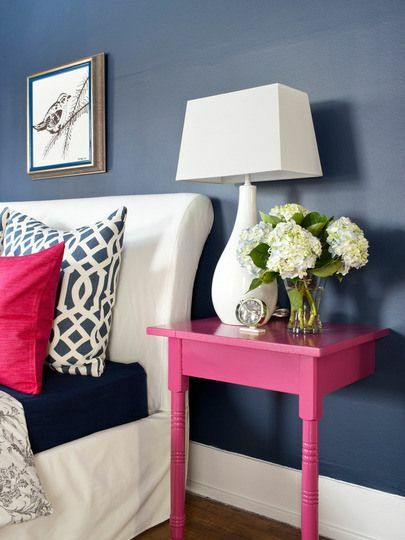 Get two nightstands for the price of one! We think this a brilliant idea. Cutting a table in half, painting it and bolting it to the wall not only save on space but ads an eclectic tough that's light on your wallet! 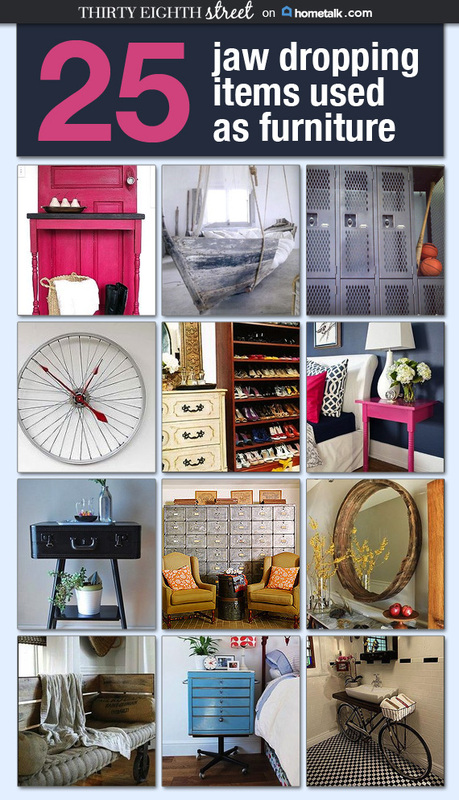 To see more inspirational ideas from our curated clipboard, click on the graphic below. Thanks again Hometalk for the opportunity to be apart of your amazing community!